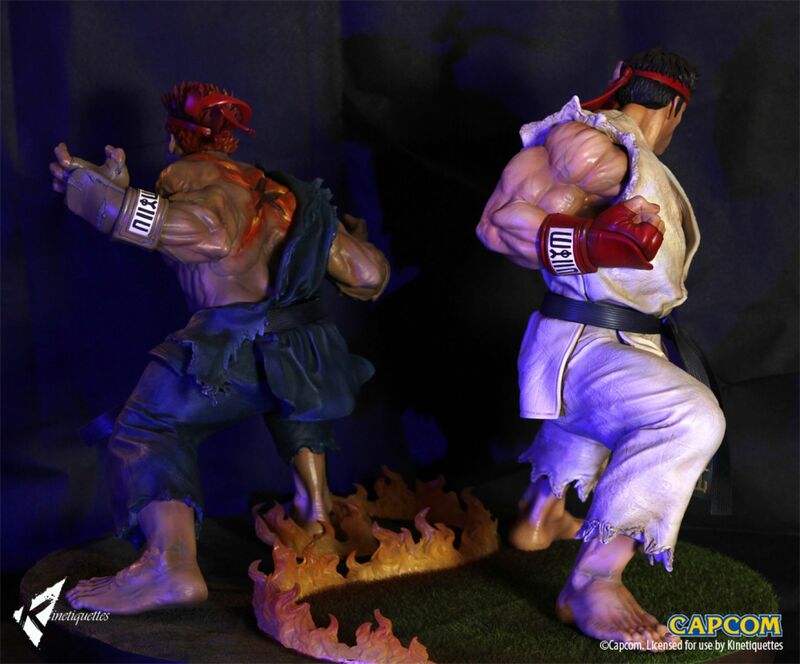 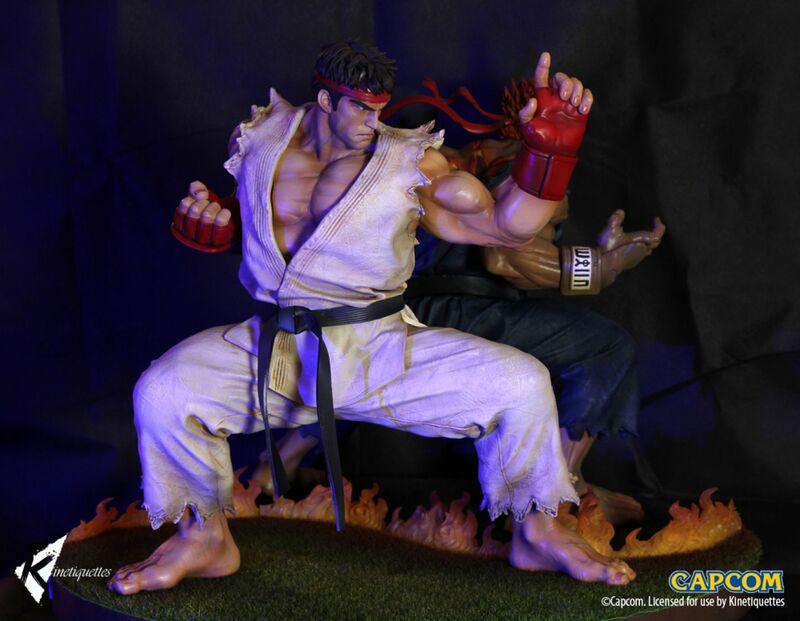 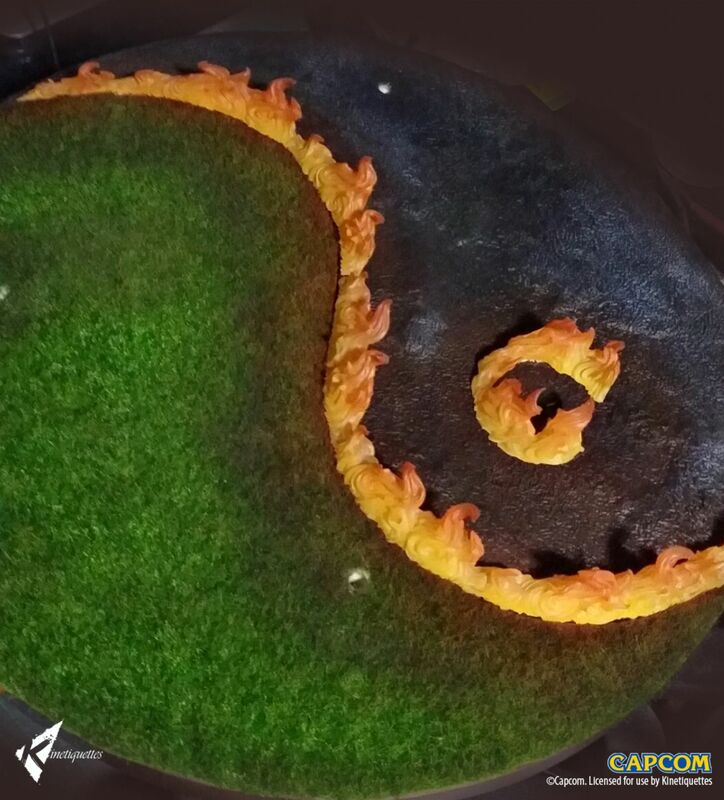 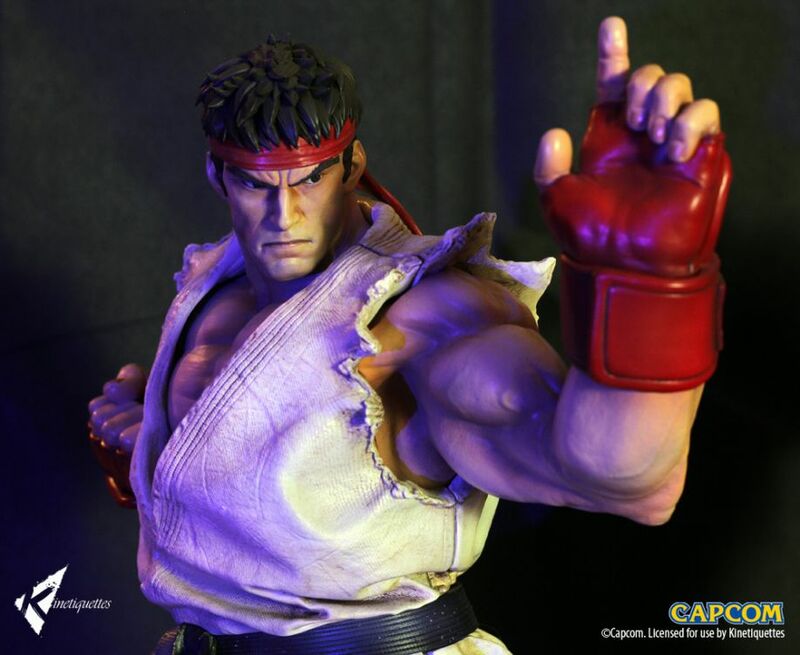 This statue depicts Ryu consumed by the dark Hadou within him in a fit of rage to destroy everything in his path. 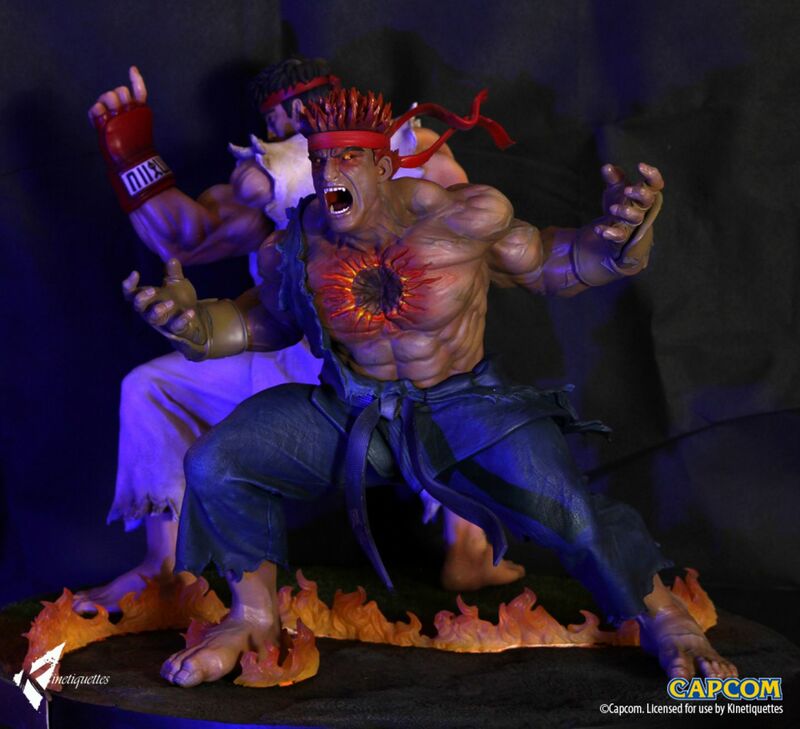 The diorama depicts his lust for blood and death a burnt grass flooring. 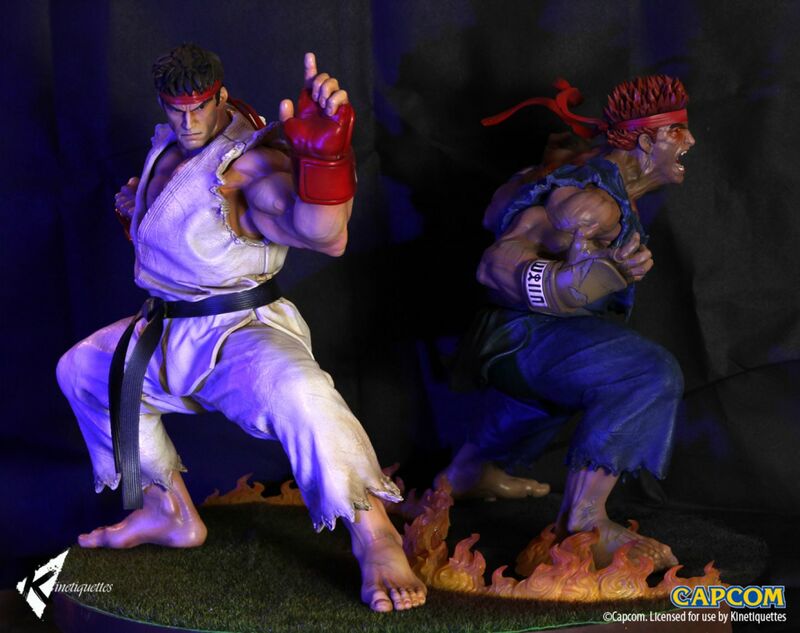 Only the character Ryu on his base is included.